Tenor saxophonist and jazz legend Hadley Caliman passed away September 8, 2010, after a two year struggle with liver cancer. He was 78 years old. Caliman remained active on the jazz scene until late-August, performing regularly around the Northwest in support of his recent releases: Reunion with Pete Christilieb, which was released in August and is now #31 on the national jazz charts, and Straight Ahead, which is #9 for the year on the Airplay Charts and was in the Top 10 on American jazz radio for many months. Always striving to further himself on the saxophone, Caliman continued to practice daily until a week ago when he was too weak to continue. His last public performances were in Poulsbo on August 20, Tula' Jazz Club on August 13, and the release performance for Reunion with Pete Christlieb at The New Orleans Creole Restaurant on August 8. 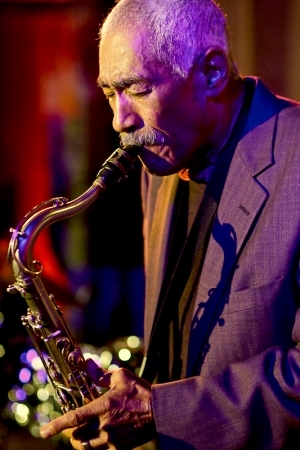 Caliman's long career included credits with musicians such as Freddie Hubbard, Gerald Wilson, Carlos Santana, Dexter Gordon, Elvin Jones, Mongo Santamaria, Joe Pass, The Grateful Dead, Joe Henderson, Don Ellis, Flora Purim, Phoebe Snow, Bobby Hutcherson and many others.